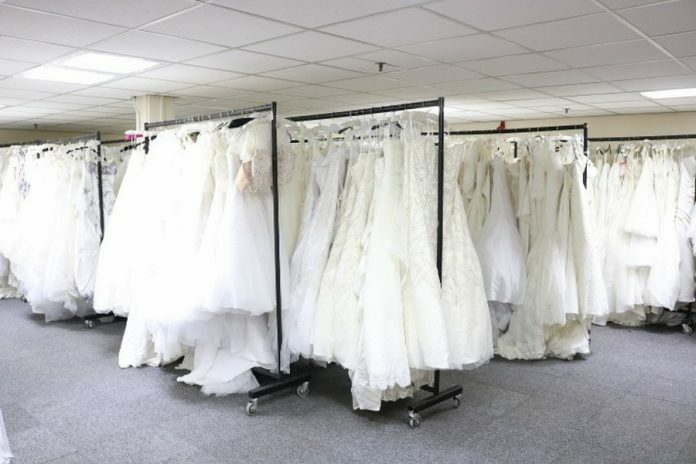 Following the announcement that bridal retailer Berketex has gone into administration, the John Pye Business Assets team has been appointed to deal with the valuation and disposal of over 20,000 unsold bridal gowns, plus hundreds of shoes and accessories. Berketex Bride has been a bridal retailer and supplier for 50 years and the company ceased trading on 13th November 2018 when insolvency practitioners Wilson Field were brought in to manage the administration process. Over the last three weeks, John Pye Business Assets has been helping Berketex customers by reuniting them with dresses that they had paid for in full or made a deposit on before administration was announced. The remaining wedding gowns will be going into a warehouse sale at John Pye’s facility in Port Talbot, South Wales, from 7th December and every Friday and Saturday until further notice.